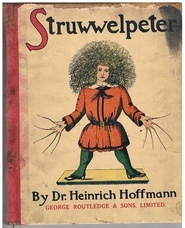 Home » Children's » Struwwelpeter. Early edition. Inscribed 1923 in pencil. Picture boards backed in red cloth, printed recto only, stapled. Printed in Great Britain by W W Curtis Ltd., Cheylesmore Press, Coventry. 'Routledge's One Syllable Series' to back with list of 16 titles. Complete and no loss, no juvenalia. 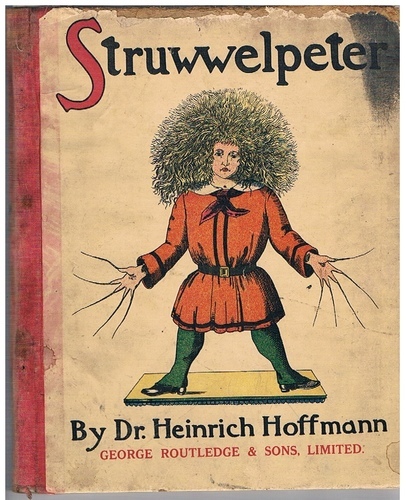 Fair condition only; last page loose, staples rusting, paper peeling from board edges.